Book World | Downtown Sault Ste. Marie, Michigan! Customer service is our number one priority. Each store has a staff of booksellers from the community who are ready to work with you, help you find what you need, and deliver the service you expect. It is our goal to offer the communities we serve the best selection of reading material in the area. 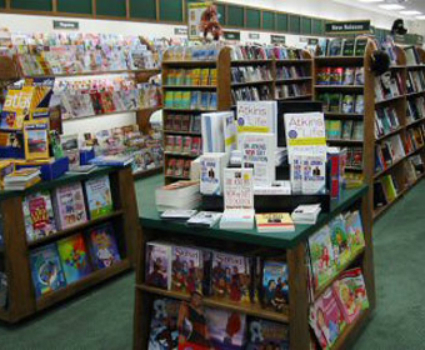 You will find an extensive selection of both hardcover and paperback books for all age groups. Along with current bestsellers, you will find books in every category with a strong emphasis on regional and nature titles. Our staff works diligently to bring you a tremendous selection of periodicals which at last count included over 3,300 magazine titles and local, state, and national newspapers. Get your child off to a good start with nursery rhymes, board books and storybooks of all kinds. Beginning and young readers will find new and classic titles including the latest in their favorite series.